Are Double Ears a Genetic Disorder Or a Freaky Fashion Trend? Whoa. 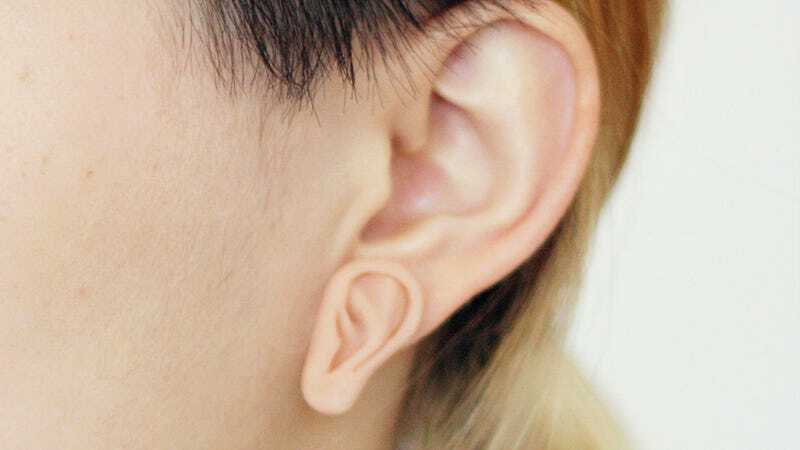 It's probably still way too early on a Saturday to fully comprehend what you're seeing here, but artist Percy Lau has created this trippy earring design which makes it look like you've got a smaller ear growing off your lobe. Freaky. You can get a pair for yourself from her Etsy store for around $40. But only if you like constantly being stared at while you go about your day, and freaking out everybody who walks by you.